Due to DOT shipping restrictions this item cannot ship via air services, or to addresses outside the lower 48 United States. 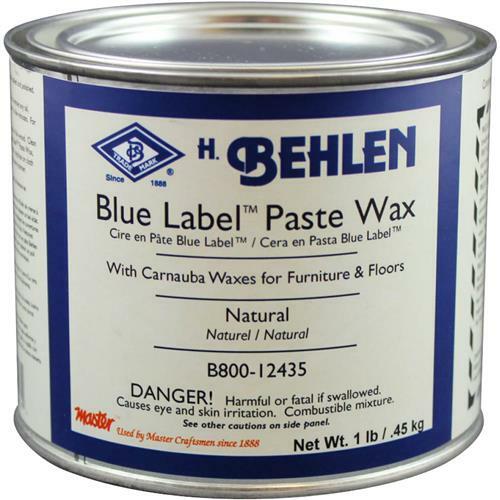 Blue Label Paste Wax blend of waxes and pure gum spirits turpentine establishes and restores a sheen to all wood surfaces and at the same time provides a protective finish. 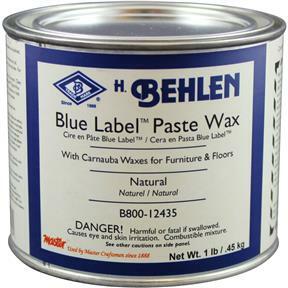 Easy to apply and buff, Blue Label's carnauba wax blend eliminates scratches and gives a high luster when buffed by hand or machine.